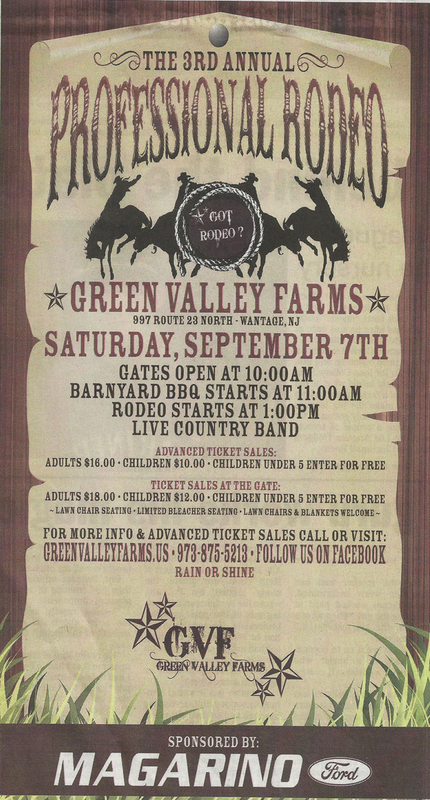 If you are interested, a small group will be getting together to photograph the 3rd Annual Professional Rodeo at Green Valley Farms on Saturday, September 7th. Gates open at 10:00 a.m. and a BBQ begins at 11:00 a.m. and the Rodeo starts at 1:00 p.m. There is a fee for the Rodeo. Advance ticket sales are $16/adult, $10/child, and children under 5 are free and at the gate are $18/adult, $12/child and children under 5 are free. Please register and we can send further details to attendees about meeting time, location, etc. Attached is a flyer for the rodeo with more information.